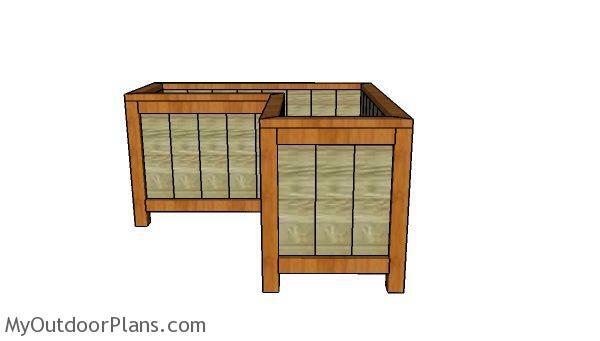 This step by step diy woodworking project is about corner planter box plans. 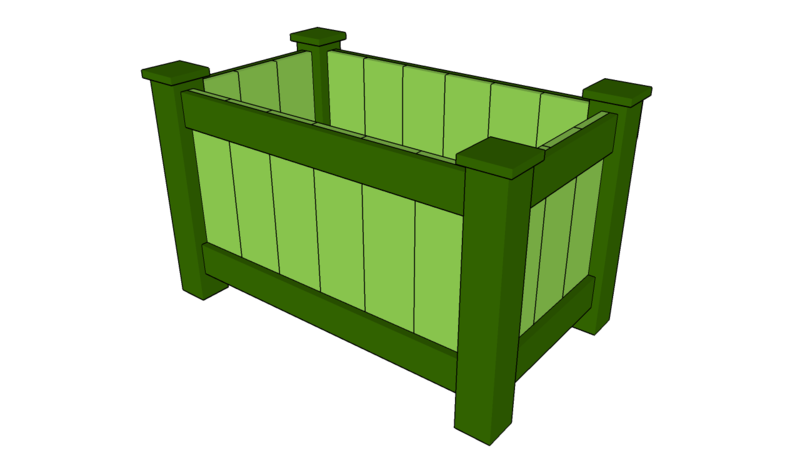 I have designed this corner planter, so you can finally add some new life to your backyard patio or deck. 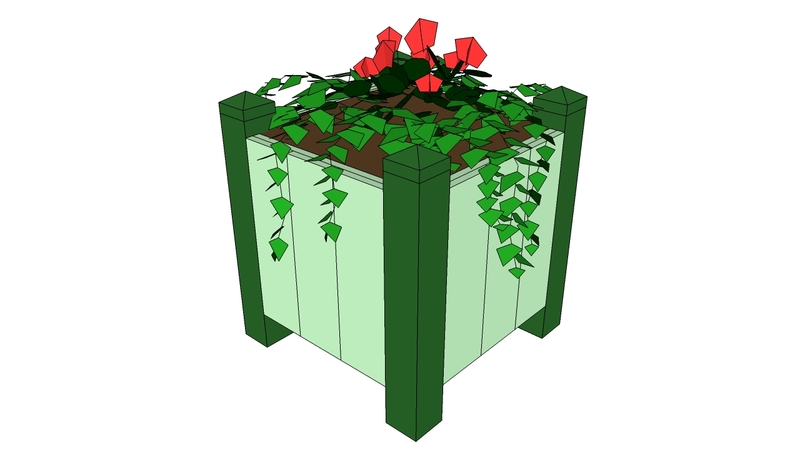 strange as it might seem, this corner planter is super easy to build. The cedar is weather resistant so the box will last for ages. If you enjoy my design, don’t forget to take a look over the rest of my free plans HERE. 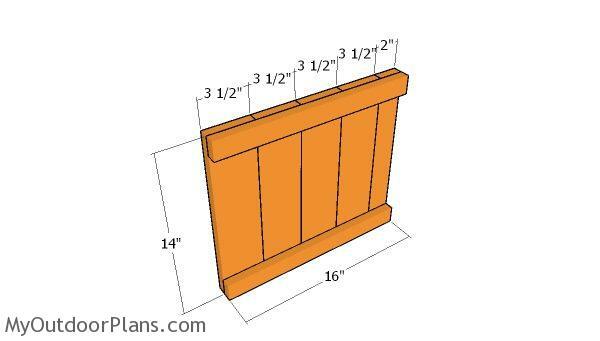 The first step of the project is to build the panels for the sides of the corner planter. 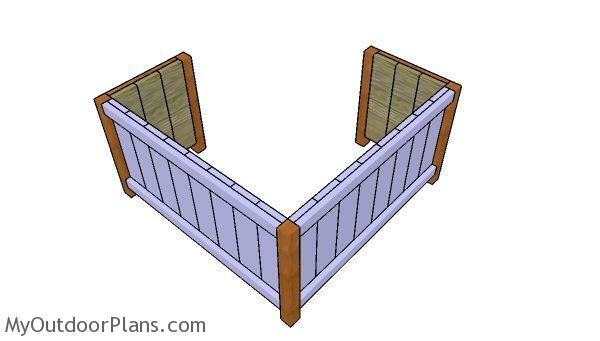 Use 1×4 slats for the panels and 1×2 lumber for the cleats. Add glue to the joints and leave no gaps between the components. Align the edges flush and make sure the corners are square. Insert 1 1/4″ nails to secure the cleats to the panels tightly. After the glue dries out, you need to drill pocket holes along the sides of the panel. Attach the legs to the side panels and align everything with attention. Add glue to the joints and insert 2 1/2″ screws. The next step of the project is to build the back panels for the corner planter box. As you can see in the plans, you need to make this panels wider. 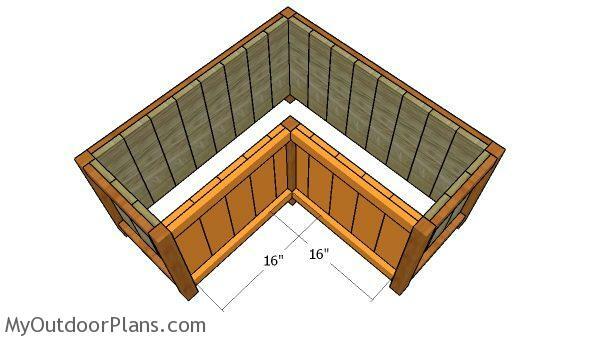 Use the same techniques described above to assemble the panels together (glue and 1 1/4″ nails). 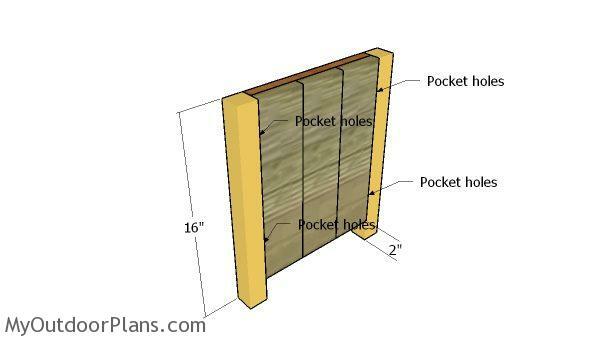 Drill pocket holes along the sides of the panels and then secure them to the posts with 2 1/2″ screws. Make sure the edges are flush and add glue to the joints. 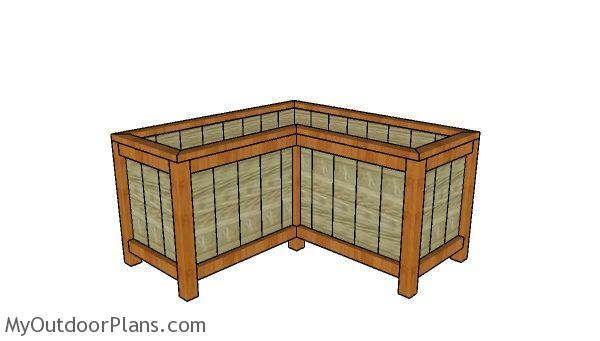 Build the front panels for the corner planter box, so you can assemble the frame. Drill pocket holes along the sides of the panels and then secure them into place with 2 1/2″ screws. Fit the 1×2 cleats to the bottom of the corner planter box. Cut the cleats at the right dimensions and then secure them into place with 1 1/4″ screws. Align the edges flush and make sure you lock the cleats into place tightly. You can adjust the height at which you place the cleats, according to the containers you are going to fit inside. 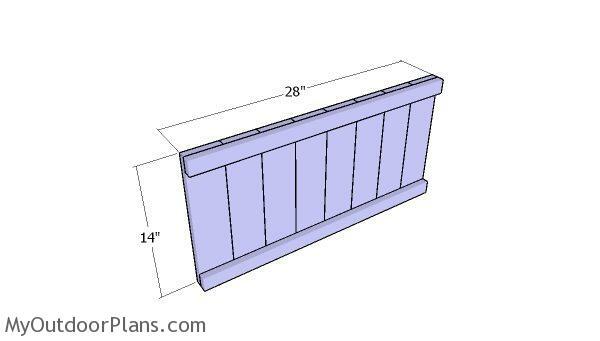 Fit the 1×4 slats to the bottom of the planter box. Cut the slats at the right dimensions and then secure them to the cleats with 1 1/4″ screws. Drill pilot holes before inserting the screws to prevent the wood from splitting. 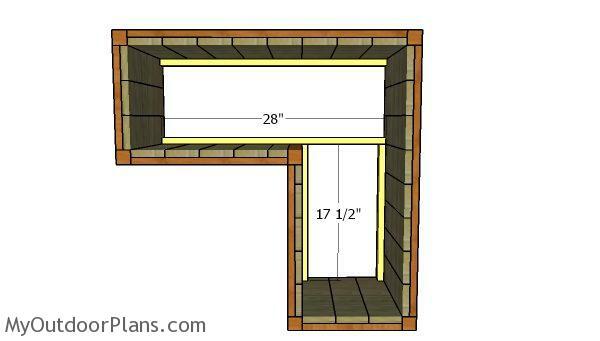 Use 1×2 lumber for the trims. Make 45 degree cuts to the trims, as shown in the diagram. 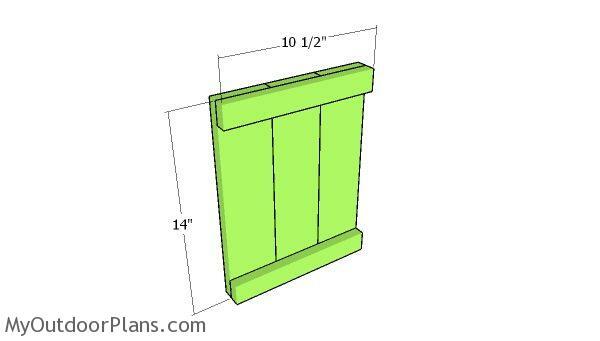 Fit the trims to the planter box and then secure them into place with 1 1/4″ screws. Align the edges flush and add glue to the joints. One of the last steps of the woodworking project is to take care of the finishing touches. Therefore, fill the pilot holes with wood putty and smooth the surface with 120-grit sandpaper. 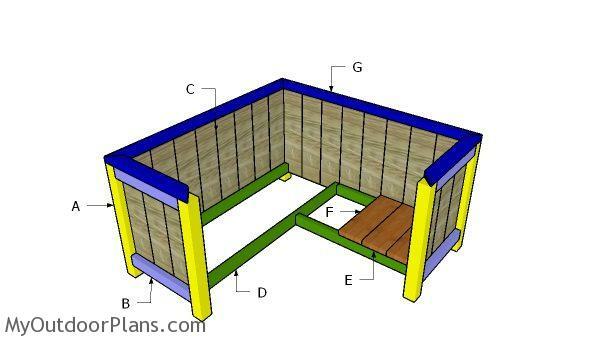 In order to protect the lumber from water damage, I recommend you to cover the components with several coats of paint. This corner planter would be ideal on a patio or even on a deck. 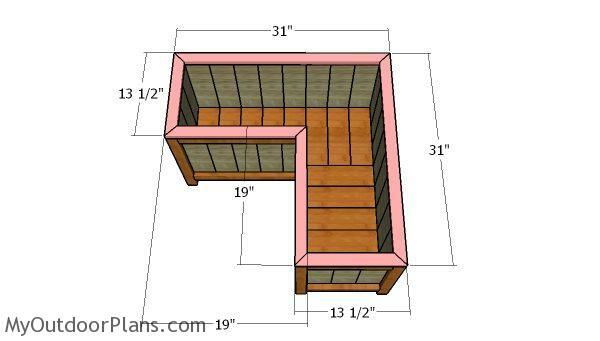 This woodworking project was about corner planter box plans. If you want to see more outdoor plans, we recommend you to check out the rest of my step by step projects. LIKE us on Facebook and Google + to be the first that gets out latest projects. Materials list is missing the letter “F”. Can you tell me what the materials would be for “F”? F is actually E. I labeled them twice by error.